What goes around comes around. And there’s no more welcome return for 2017 than the groundbreaking British dance music of Orbital – creators of classic electronic symphonies and timeless dancefloor bangers, originators of live dance music as a must-see ecstatic festival experience. After a five-year hiatus, brothers Paul and Phil Hartnoll reunite to bring the acclaimed Orbital live show – described by both The Guardian and Q Magazine as among the greatest gigs of all time – to a new generation. Orbital kick off a new era in their acclaimed 25 year career with three outdoor spectaculars confirmed so far for summer 2017. The Hartnoll brothers will headline Dublin’s Forbidden Fruit, Standon Calling and a suitably cosmic date at the Blue Dot Festival at Jodrell Bank radio telescope. Fans can expect brand new releases later in the year. Orbital’s 2017 reunion means more than the reforming of a musical partnership. It’s the end of a little-known, unhappy stand-off between two brothers, an estrangement that lovers of Orbital’s euphoric music might find surprising. 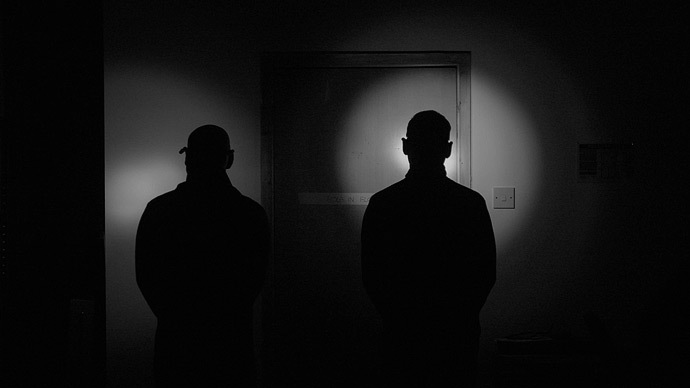 Unknown to even the keenest Orbital fans, the relationship between Paul and Phil Hartnoll has often been a tempestuous one. Worse than musical differences, they’ve been through the personal clashes and resentments that only brothers can really understand. If not exactly the Liam and Noel of rave, Paul and Phil found themselves in an age-old quandary: can’t work together, can’t stand working apart. Only now they’ve put it right. Paul spent the years since Orbital working on his own album ‘8:58’ and the Clarke:Hartnoll album ‘2square’ with Vince Clarke. He’s also been working on film and TV soundtracks including ‘American Ultra’ and the hit gangster series ‘Peaky Blinders’. Soundtracks was his long-standing dream, a challenge and a massive workload – but it wasn’t Orbital. Phil has been out around the world indulging in his great passion for DJ’ing. “It’s a different beast to an Orbital gig,” he says. “Half the crowd wants to hear Orbital and for half of them it’s Saturday night and they just want to get a groove on. I love that.” Phill has also produced, remixed and worked on projects such as Nøise, the electro-rock-punk collaboration centred on Shepard Fairey, the graphic artist behind the famous Barack Obama ‘HOPE’ posters. The yin and the yang, the warp and the weft of Orbital are back in sync. Like their favourite Time Lord, Paul and Phil know that two Harts are better than one. “Orbital is too big a thing for us to leave behind,” adds Paul. “I always wanted us to be the Status Quo,of techno — I'm Francis Rossi by the way – because I always admired their staying power and their total tough motorik thing. If those two guys made their peace, so can we. So we return to where it began. There is the theory of the Moebius, a twist in the fabric of space where time becomes a loop. Sometimes the good stuff comes back again – as brilliant as ever, but different. Orbital are back. It’s time to go round again. Dublin city centre’s multi-stage music and arts festival, FORBIDDEN FRUIT, is set to return for its seventh instalment on the June Bank Holiday weekend, 3rd - 5th June 2017 following its sell-out success in 2016. The spectacular grounds of Irish Museum of Modern Art will once again play host to the hotly anticipated three-day festival, which has become firmly fixed in the gig-goers calendar as the grand-opening to the festival season, and the official start of the summer. Taking place 7-9 July at Jodrell Bank, the Cheshire observatory at the cutting edge of humanity’s quest for knowledge, Bluedot is a three-day festival of discovery that fuses a complex mix of artists, speakers, scientists and performers into an event unlike any on earth. Attendees can expect a galaxy of talent from across the scientific, literary and arts communities with five distinct arenas featuring space orchestras, talks, screenings, lectures, comedy and debates, a vast spectrum of hands-on activities and much more. Bringing together a unique weekend of irresistible fun, extraordinary experiences and unrivalled entertainment, Standon Calling has over 11 years marked itself as the true epitome of what a festival is. Celebrating creativity, community and freedom - Standon Calling offers a genuine weekend escape that’s seen over 12,000 festival-goers return year after year - with 2017’s 12th edition only set to continue that story. All booking enquiries to Dan Silver: dan@vathq.co.uk.